Gale Marine is proud to carry Pro-Drive Outboards. 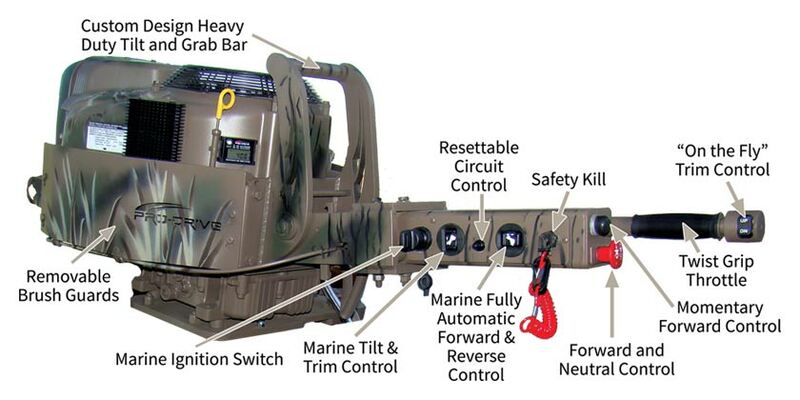 They are the inventors, manufacturers and outdoorsmen that brought you the first ever “Shallow Water Outboard” built for hunting, fishing and commercial purposes. Gale Marine decided this is the engine that can power our “Made for the Midwest” boats. Since their beginning, they set out to make the very best quality products for the outdoorsmen and that is a promise they’ve kept. Get more information at Pro-Drive Outboards! Find out more about how this engine will make the difference in your experience on the water by contacting us at Gale Marine!